Morning sunrise, the echoes of horse hooves, glimmering sand diffusing light, the sound of music guiding us deeper into the gorges' maze. 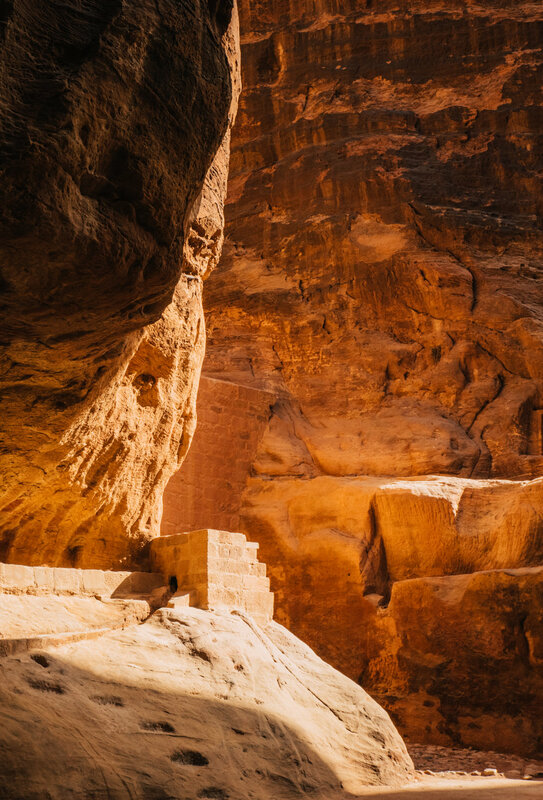 Petra, the ancient city of the Nabateans, home to the incredible carved mountain ruin Al Khazneh. Its origin stems back since 5th Century B.C. and today is one of Jordan’s most incredible sites. The infamous set of Spielberg's “Indiana Jones and the Last Crusade”, where Indiana battles his spiritual wits in order to attain the Holy Grail. 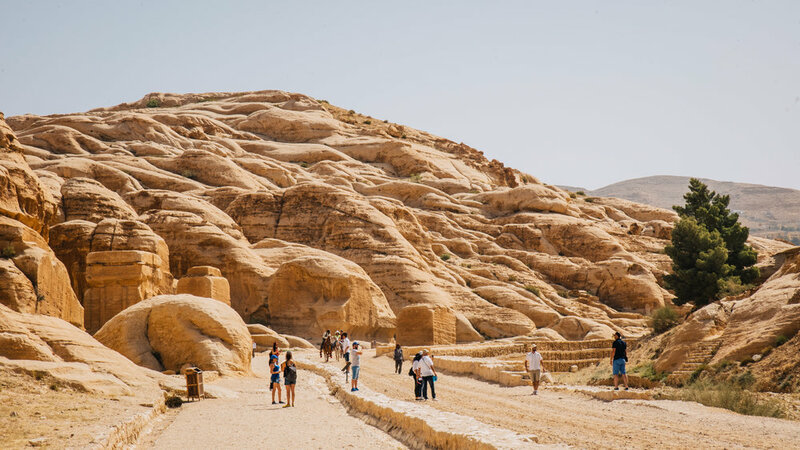 A few days prior to arriving in Petra, we traveled from Israel to Jordan, which proved in itself to be quite an adventure of its own. When crossing the border of Jordan, due to some slight error, my name had not been put on the visa application list. The border control we were passing through did not issue visas and the situation became stressful. If I could not get into Jordan, I would have to drive back 6 hours to Israel alone and had no flight or place to stay. 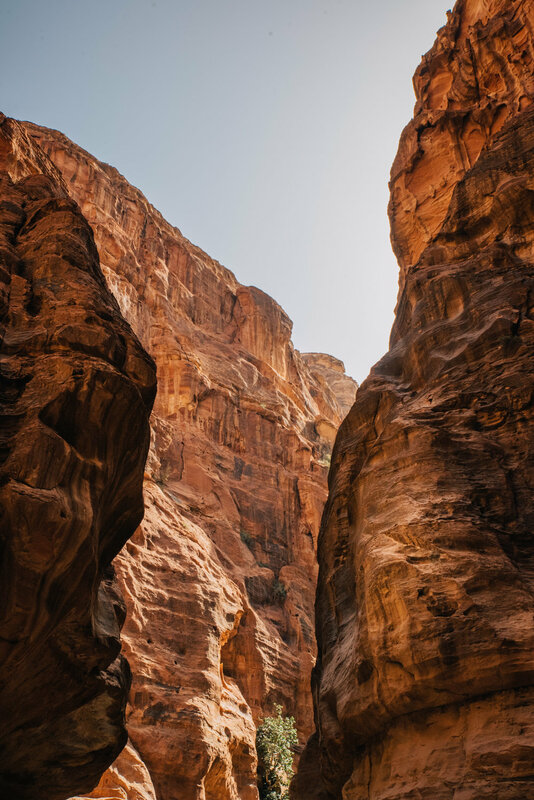 However this battle to attain a visa, provided me a first hand look of the culture of Jordan; which was extremely impressive. As soon as I entered immigration, a group of five officers approached me, apologizing repeatedly for what had happened (which was in no way their fault) and reassured me they would do everything in their power to see the situation resolved. This was certainly not at all the conversation I thought Id be having with Jordan border control officers. The head officer escorted me into his office, offered me an array of coffee and cigarettes (which I kindly refused), and gave me an in depth explanation of the sites and history of Jordan. After a few hours of calls and paperwork, strings were pulled and I was allowed into Jordan. I thanked all of my new friends, and my new entourage saw me off as I boarded my bus. 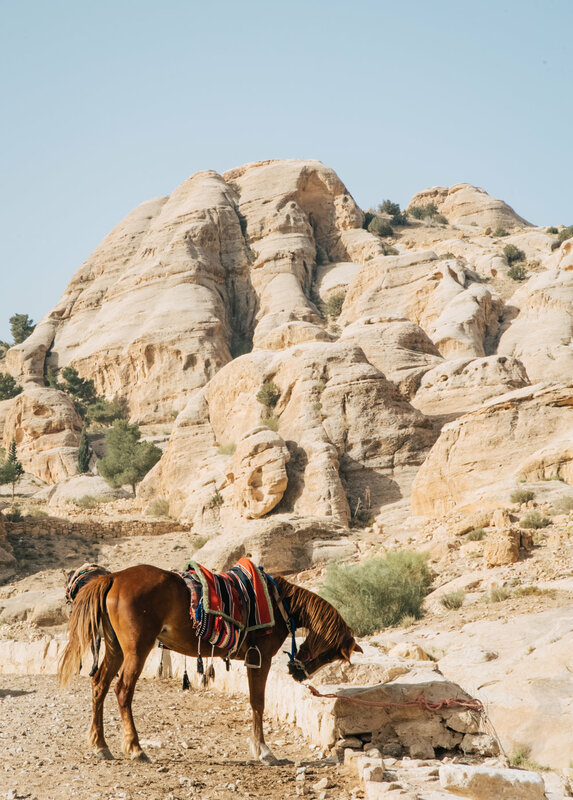 The terrain of Jordan is much more arid than Israel, but nonetheless breathtaking. The desert mountains resembled the sand art local men made at the street side shops. Camels, mountain goats, and pastel colored houses lined the mountain roads. We spent the night at Petra National Park and enjoyed a dinner filled with an assortment of couscous, hummus, raisin and figs. In the morning, I woke up early to see the sunrise over the desert mountain ridge; later enjoying a strong coffee with our two Jordan guides. 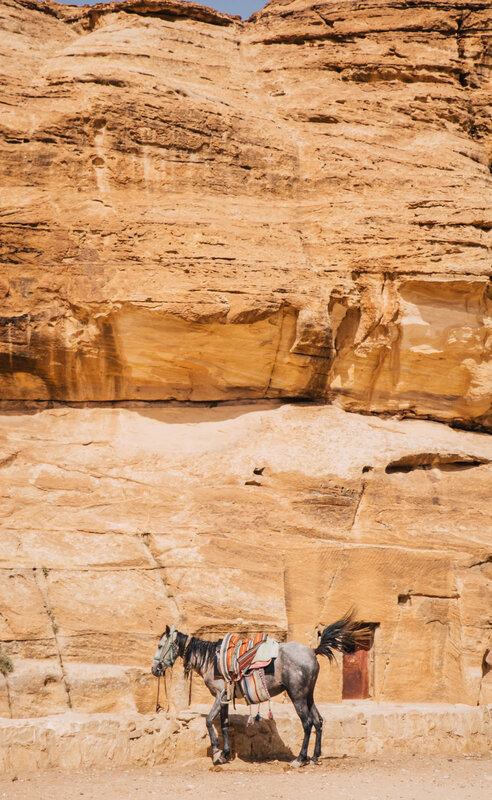 After breakfast we headed straight into Petra National Park. The entrance of the Park is lined with horse stables. 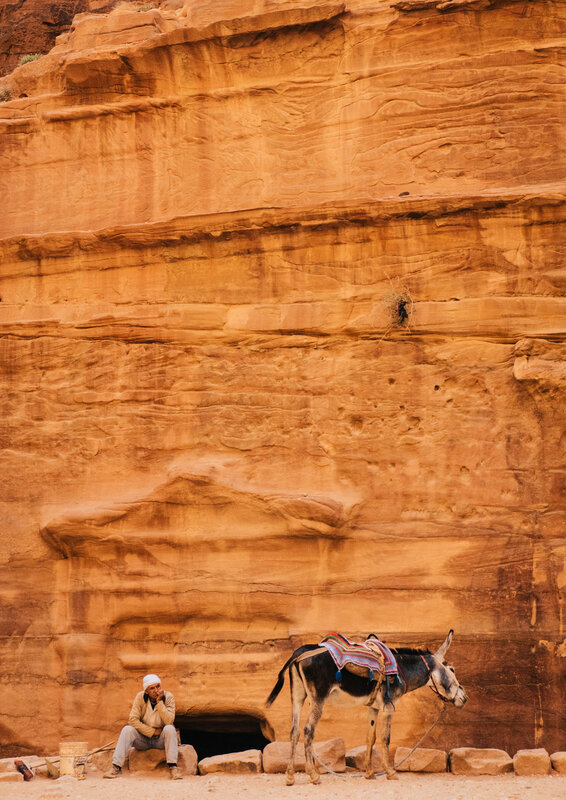 Desert mountains line both sides and men offering horse and carriage rides are in abundance, dressing their horses in colorful of saddles and reigns. 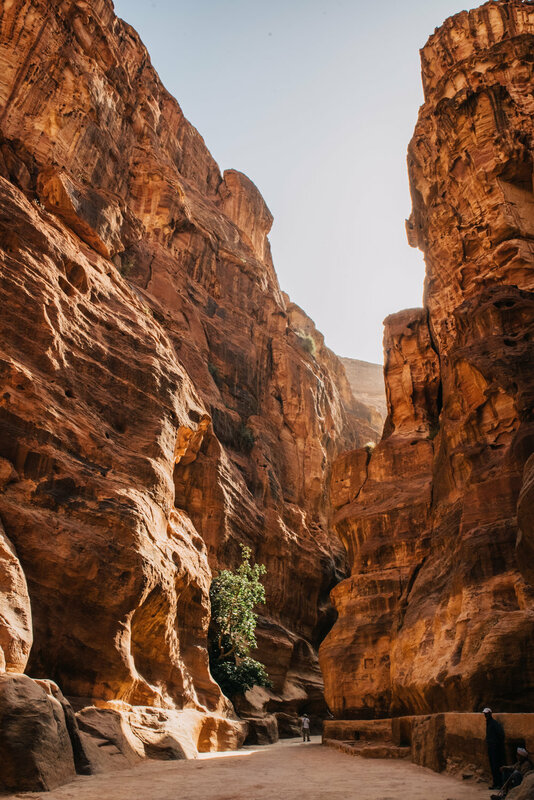 Entering the main gorge, the sides of the smooth cut mountains revealed their age, every tier of red and orange rock symbolizing an ancient year. 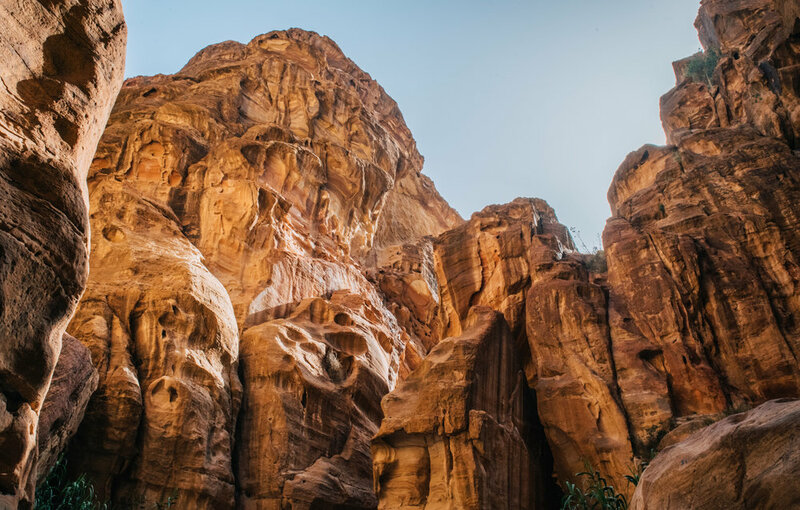 The gorge was an incredible maze, towering above us, containing burial grounds and remnants of the ancient Nabatean people. After about half an hour of trekking, we began to see an opening ahead. 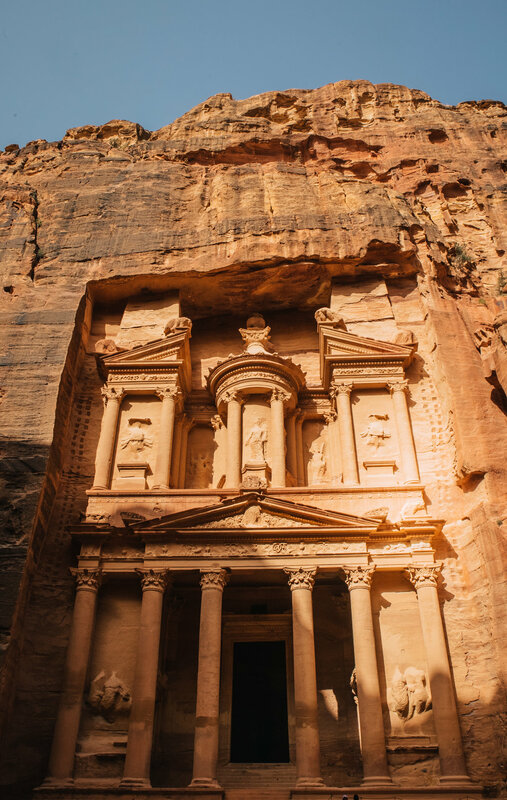 As we approached, the incredible treasury became more and more visible. 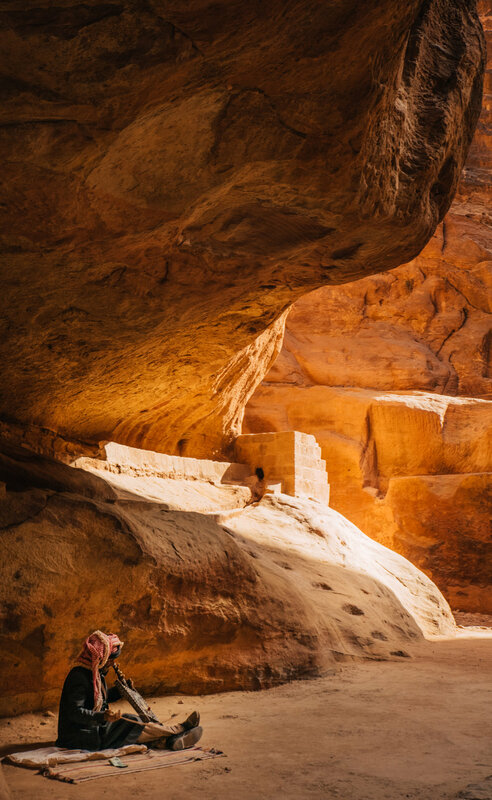 We entered a large cavern in the maze of mountains and there stood Al Khazneh, alive with local merchants, camels, horses, and donkeys. It is by far one of the most astounding things I’v ever seen, immaculately preserved. Examining Al Khazneh, I could even see the bullet holes of a past battle. 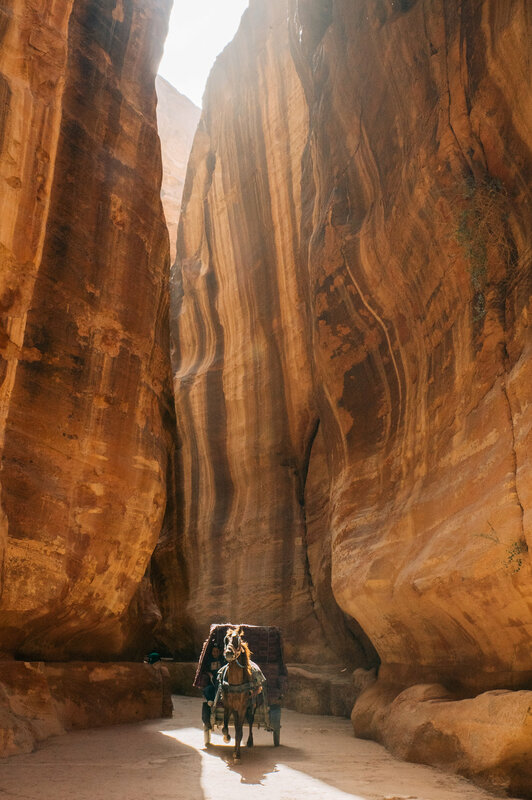 It truly did not feel real, and if you stood very still and listened very carefully, I could swear the main theme of “The Last Crusade” could be heard traveling on the wind of gorge's passage ways.